Our dual layer, fibre topped foam inner cushion provides orthopedic support and plush comfort. 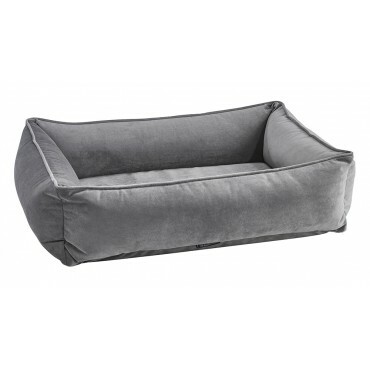 In this unique one piece design, the bottom cushion is secured (zippered) into the bottom of the bed, making this a great solution for dogs that tend to dig and chew removable cushions. SML: 26"x18x"7", MED: 34"x23"x9", LRG: 40"x31"x11", XL: 46"x38"x12"
SML: 19"x13"x5", MED: 25"x16"x7", LRG:32"x19"x9" , XL: 38"x28"x10"
Bolster: high memory polyester fibre. Cushion: fibre-topped foam insert. 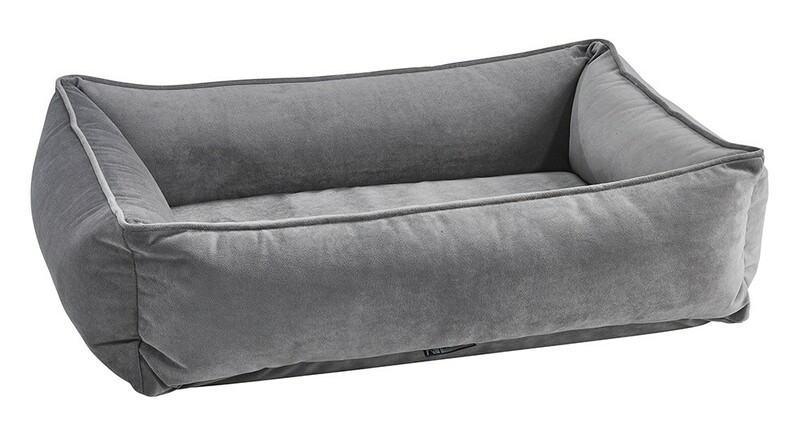 Unzip cover and remove bolster and cushion insert. Rezip and wash cover only on cool setting. Tumble dry low heat.